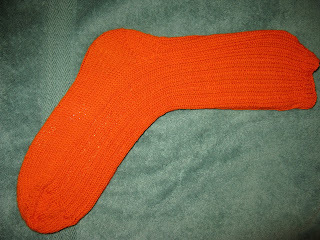 These are some socks in progress for my friend Aimee. 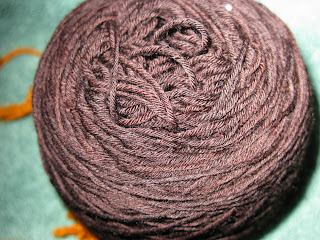 She dyed the yarn - it is Big Bad VooDoo Mama Lindy (BFL Superwash Sock) in Canyonland colorway. 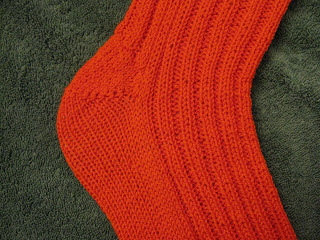 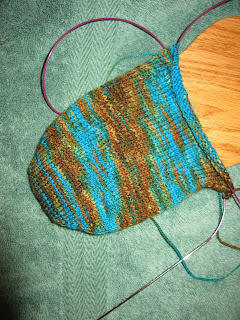 Both of the above are using the basic short row heel pattern from Socks from the Toe Up. 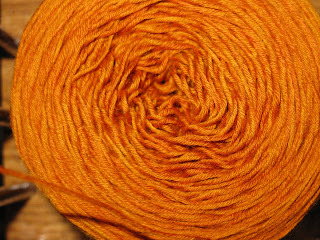 And this is Ulmus. 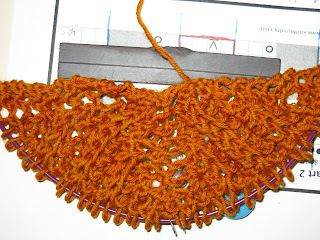 I started it last night. 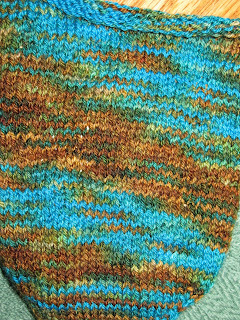 The yarn is Wollmeise in Honigtopfchen (that's the gold) and I'll do the lace edge in the Ebenholz (brown) left from the shawl I finished yesterday.